It's been a busy week for us with two more asbestos consultancies signing up for asbestos software Alpha Tracker. We've been competing in both cases with a competitor so why was Alpha Tracker chosen? 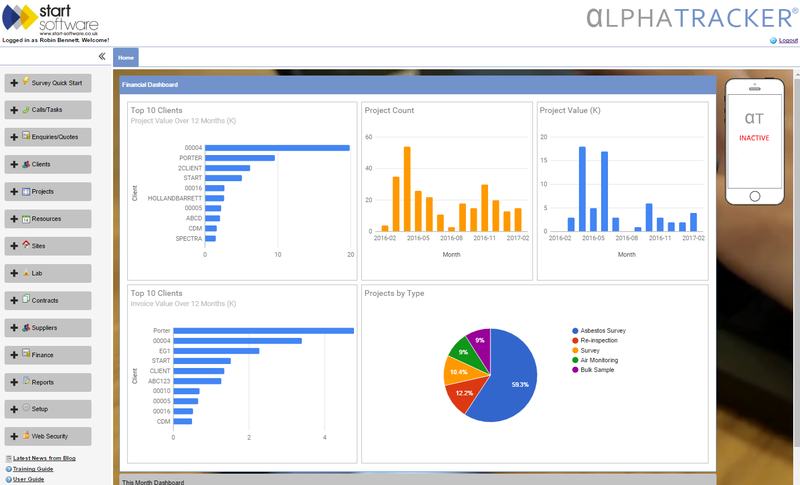 In any demo we show off Alpha Tracker's ease of use, flexibility and comprehensive feature-set including a popular client portal. That's a good start. More importantly, though, we are able to demonstrate 10+ year business relationships with our clients and that is so important to us. Even in quiet times, we have continued to invest in our software & our support arrangements to try to keep us ahead of the competition. We try to be easy to deal with, reasonably priced and interested in "partnerships" with our customers and, in the main, our customers have valued these attributes and ambitions. If we can help you to improve your asbestos consultancy, get in touch. We'd be delighted to hear from you. We're squeezing in some new searching features and an update to our QR code functionality. We're now on Release Candidate 10 (RC10) and hopefully we're only a few days away now from final public launch. Alpha Tracker Release 24 RC10 is now ready and available to our beta-test clients for download. We've got field trials starting today for the biggest and most sophisticated data collection app we've written to-date. Built using the fabulous Alpha Anywhere platform, the app is a sophisticated mix of online and offline data, photo and sketch data capture. Can we help you to design and build an app for your business? Get in touch! We really enjoyed meeting the professionals at Spectra Compliance yesterday to deliver their first set of Alpha Tracker training. L8 ACoP for Legionella Assessments. 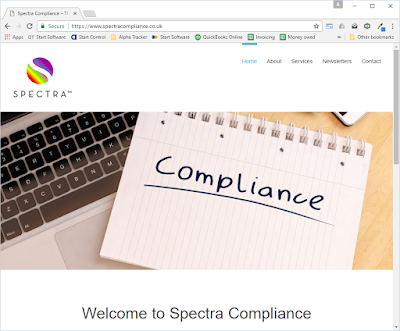 We're delighted that Spectra Compliance have chosen Alpha Tracker for their business and we look forward to working with them. Unbelievably, we've just booked in our 5000th software project. Here's to the next 5000 software builds using the awesome Alpha Anywhere. 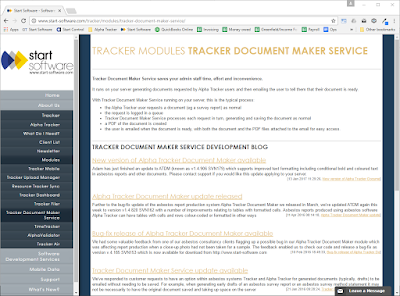 Adam has just finished an update to Alpha Tracker Document Maker to support better resizing of PDF plans/drawings. You can download and install the update (known as v1.4.967 SVN 188) from here or contact our support desk and we can update your Alpha Tracker asbestos system for you. We are one of 20,000+ companies who use the excellent GoCardless direct debit processing facility. GoCardless enables us to collect direct debit payments for our asbestos software subscriptions simply, easily and securely. We have been contacted by the team at GoCardless to make us aware of a burglary at their offices where 19 laptops have been stolen. They have assured us that no data related to our customers was on these laptops or has been made accessible because of the theft. The relevant authorities (police, financial regulators etc) have been made aware and they have used remote-wiping technology to clear the laptops of all data. If you have any concerns at all about this announcement, please do call our offices and speak to directors Robin Bennett or Elaine Porter directly. Panasonic have launched a new range of fully rugged Android tablets which would be ideal for asbestos surveyors using Tracker Mobile as part of a Tracker or Alpha Tracker system. 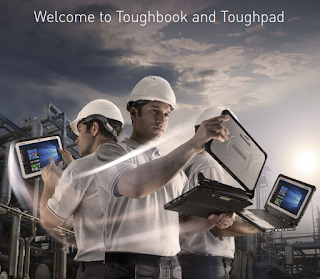 Google "Panasonic Toughpad FZ-B2" for more info. 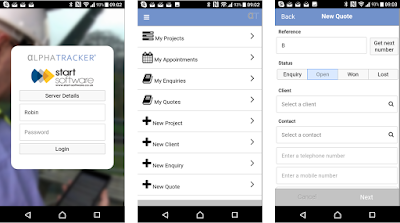 Launching at the same time as the new look for asbestos software Alpha Tracker (our "Release 24"), we are updating the companion Alpha Tracker Mobile app. The update will be available in the Google and Apple app stores in the next few days. Our asbestos consultancy beta testers can download and test the latest Alpha Tracker asbestos software release when ready. We've just heard that East Kilbride-based asbestos specialists Asbestos Building Surveys have chosen asbestos software Alpha Tracker to help them to improve productivity, efficiency and the service they provide to their clients. Welcome to the Alpha Tracker family! We're all really looking forward to working with you. What has Alpha Tracker done for you in 2016?! We've prepared documents summarising your use of asbestos software Alpha Tracker and the admin time you've saved and these will be going out to you next week. We'll email them over and then Elaine and Judy will be giving you a call to discuss. We really hope they are helpful to you and they may well highlight areas of the system you could be using more to your company's advantage. The Asbestoprobe project continues to move forward and the team at Start Software (Asbestoprobe's software partner, see http://robinbennett.blogspot.co.uk/2016/09/start-software-and-asbestoprobe.html) are using their experience of data collected by asbestos surveyors to help inform the testing regime for this innovative new hardware. This week Start Software's director Robin Bennett has been working with Professor Simon Wilson (Trinity College, Dublin) to begin the analysis of Alpha Tracker asbestos data patterns in order to formulate the best testing strategy for Asbestoprobe.